Our family suite at the Altitude Motel Toowoomba was exactly the accommodation that ensured this family enjoyed their Toowoomba Stay. We look forward to welcoming them all back. Thank you for a luxurious, relaxing 2 nights. Thank you for a luxurious, relaxing 2 nights. Your amazing attention to detail is unique. We appreciated your warm and obliging welcome. We are sorry to have to leave, but will highly recommend to all! "I don't normally fill these out but you certainly deserved to know just how awesome this place is". We are very pleased to know that Billie's stay was enjoyable. See you next time, Billie. Matthew enjoyed his first stay at the Altitude Motel Toowoomba this week. Staff from his company regularly stay with us and we are pleased to know that Matthew also enjoyed his stay at the Altitude! We Always love staying here. Thank you for Ella's birthday gift, it was lovely. We will definitely be back. Best accommodation I have stayed at in Toowoomba. As a traveller for work I will be back. Thank you. 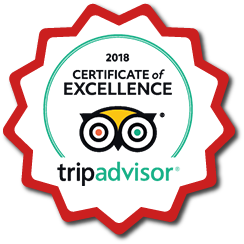 "Thank you Mary, that was absolutely delicious :) I thank you for your lovely hospitality and awesome customer service... 6 stars"
"Thank you for a wonderful stay, thoroughly enjoyed it. Fantastic motel, will definitely be back and recommend you to others. Thanks again." "Thank you for your friendly service and very comfortable room. Will recommend you to others visiting Toowoomba. Thanks again :)"
"Dear Bruce & Mary, we have enjoyed our stay with you very much, hope to get back to Toowoomba next year. Enjoy the wine & chockies. Thanks again. Thank you for your kindness & for looking after us with our room :) "
"Thank you both so much for the wonderful service at Altitude. The rooms are wonderful and I would happily recommend Altitude to our friends"